Small in size but Big on attitude. A weightless styling powder designed to thicken and texturise. 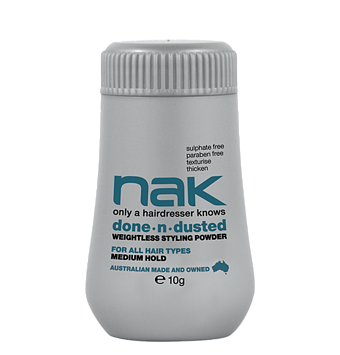 controls, separates and adds body and movement without weighing down hair. Tip: To inject extra volume, flip head over and sprinkle lightly on the underneath of hair and blast with a hair-dryer.